I had the pleasure of eating at Dillions on Thunderbird this weekend and I was not disappointed. 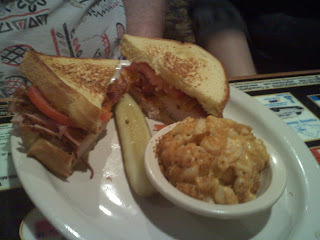 I had 2 meals this weekend and will review both of them briefly. First up, Burnt Ends w/ Loaded Mashed Potatoes and Coleslaw plus a side of Deep Fried Pickles. The burnt ends where very tasty and not over sauced at all. They had a deep smoke flavor and where butchered to perfection. The sauce was flavorful, rich, sweet, tangy and hot... perfect! The loaded mashed potatoes really got the fungus flying for me too! Bacon, sour cream, cheese, and bits of meat in the mashed was a nice touch. The next dish we sampled was the Deep Fried Pickles - CAUTION - THESE JERKS ARE HOT! Deliciously tart and hot (temp wise) these deep friend southern staples are really a great treat! SIDE NOTE: EVERY DAY FOR HAPPY HOUR. $1.00 for a plate of Onion Rings! 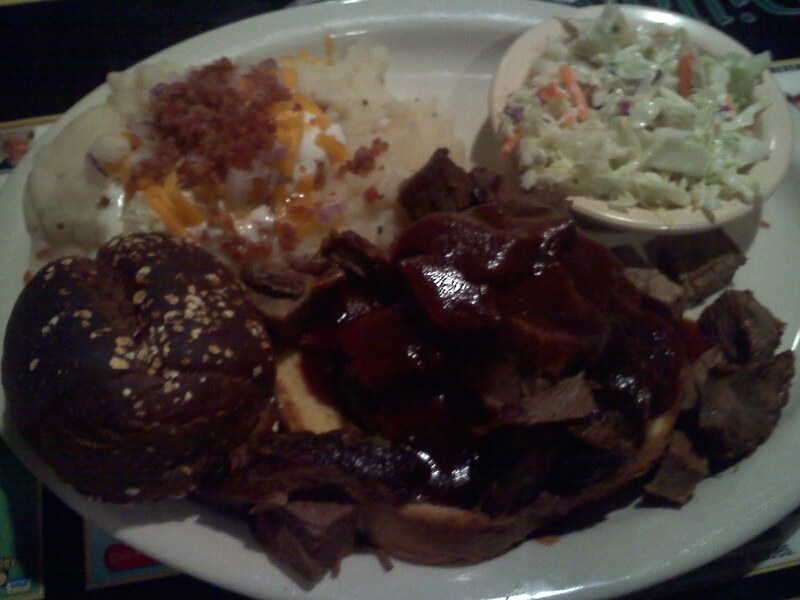 SIDE NOTE: DONT KNOW WHAT BURNT ENDS ARE? (FROM WIKI: Burnt ends are flavorful pieces of meat cut from the point half of a smoked brisket. A traditional part of Kansas City Barbecue, burnt ends are considered a delicacy in BBQ cooking. Dish 2 was an unexpected choice... typically I don't order diner standards like BLT's or Club Sandwiches due to my more adventurous eating habits but this sandwich was well put together and extraordinary! What made it delicious and worthy of posting here? Out of the oven sliced ham and out of the oven sliced turkey, no lunch meat for this beast! All in all... Dillions is a BBQ joint with flavors of your local eatery or diner, they offer some amazing advertising, real value savings and discounts and some tasty eats too! 8706 West Thunderbird Road. Peoria, Arizona. great review, i'm keeping up, where will you review next?